Jake took a few days off to handle a pesky bout of appendicitis, but other than that he’s been working flat-out on getting the brewery up and running. 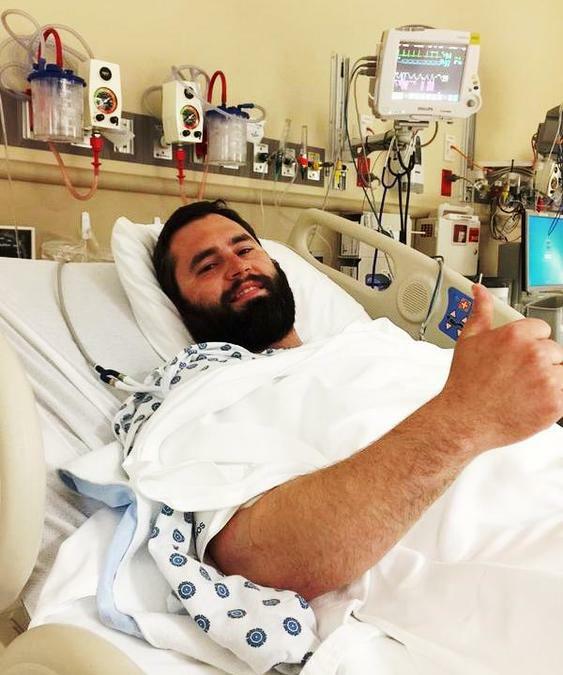 After a lengthy Brewer’s Guild meeting a couple weeks ago he felt a slight tingle in his side, and by that evening he found himself in the hospital one appendix lighter. Thankfully there were a lot of Wades on hand to mop his fevered brow, and to keep the start-up wheels moving in the meantime. There still remains a lot to do before we can open our doors and start pouring pints, so the good news is that Jake has made a full recovery and is back to brewing, recipe development, brewery construction, and the hundreds of other chores in the long process of starting up a craft brewery. Not least of these chores – though it’s really no chore at all! 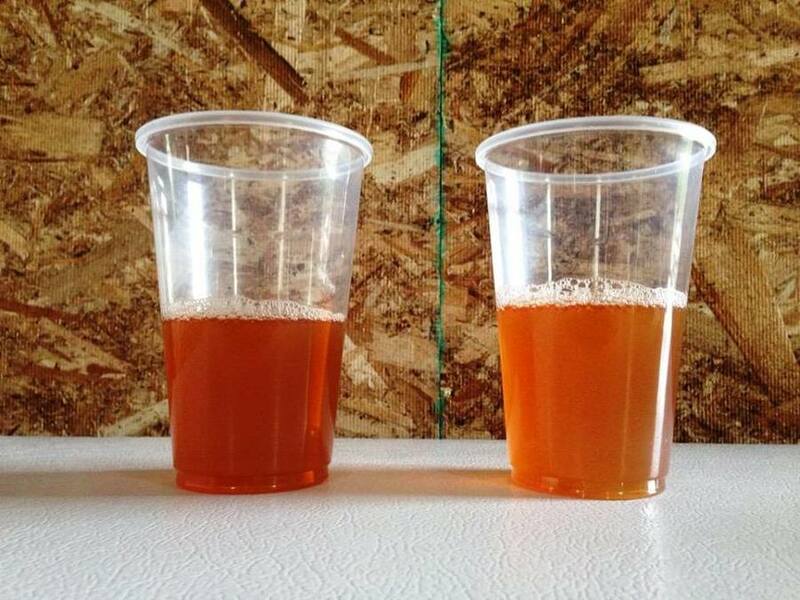 – is the continued experimentation and recipe development on our pilot batch system. Recently Jake and Jed have been working on two IPAs, one brewed entirely with Centennial hops, and the other with Simcoe and Chinook. Both have been well-received by those who have tried it, and as those who have put in time at the brewery can attest, both have proved exceptionally quenching after many hours of work on these hot summer days. 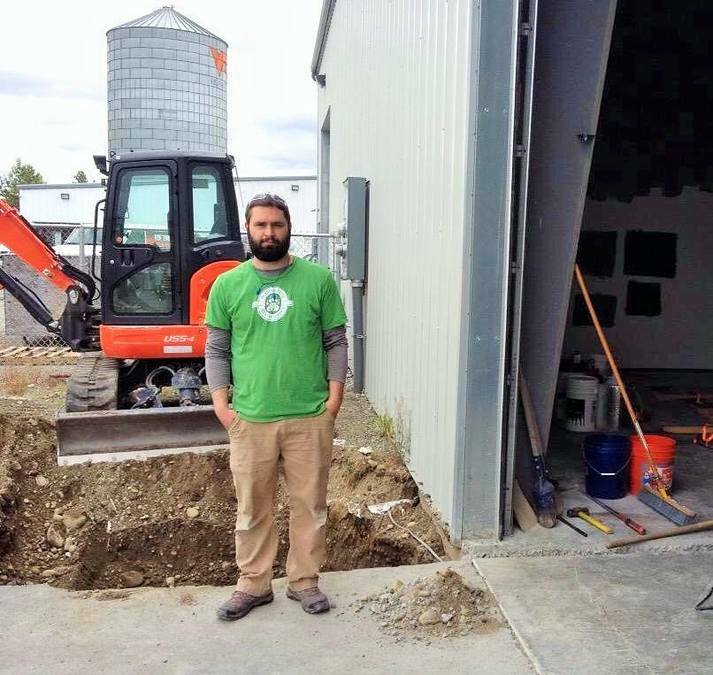 Alongside the brewing we’ve had our nose to the grindstone on several build-out projects. Our water management system has called for some dirtwork out back, a project tied in with the floor-drain in the brewery. 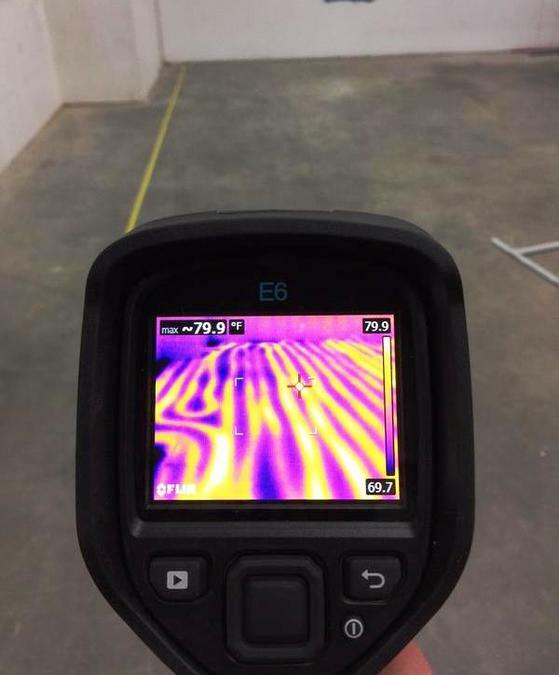 The first – and in some ways the most tricky – step in the floor-drain project called for locating the in-floor heating, which required a pretty nifty thermal cam. The last step was far less hi-tech: it involved a few bags of concrete and some hard work with a trowel. We’ve been plugging away at several other projects in the brewery as well. Our glycol system, which will keep all our tanks at happily consistent temperatures, has seen some attention in recent days. 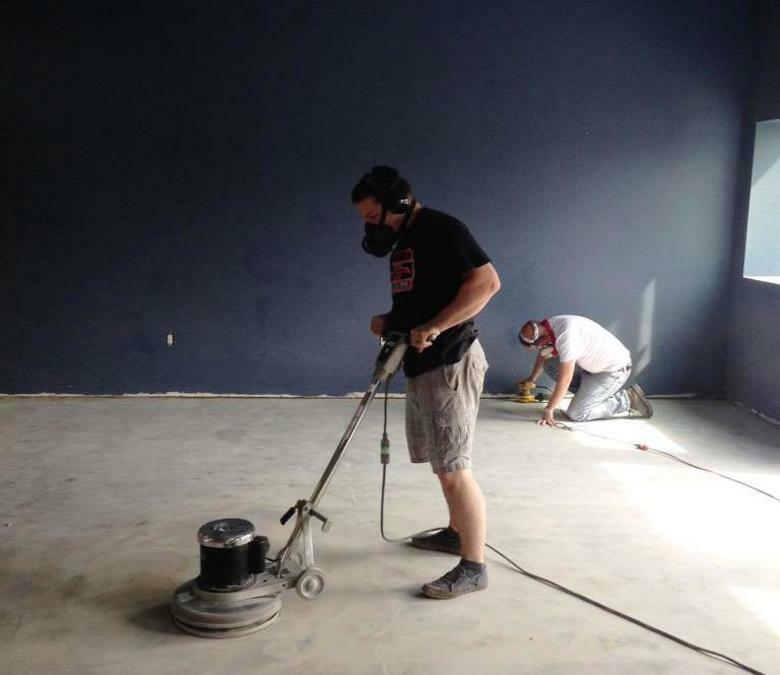 Both the brewery and taproom floors, too, have demanded quite a lot of elbow grease. The brewery floor in particular is in need of a water-proof and generally everything-proof sealant. At the same time, Jack has been chipping away at several projects in the woodshop. One of these is our white-oak grist case, which will collect the milled grain for release into the mash tun at the start of every brewday. On the taproom side, we’ve given a few walls, and the ceiling, a fresh coat of paint. We called in some expert advice on the color, and the whole crew helped get the paint on the walls. Of course, sustaining us throughout all of this has been the dream of serving pints of BRBC brew someday soon. At the same time, though, we have also kept in stock some of the many great beers brewed right here in the Last Frontier. 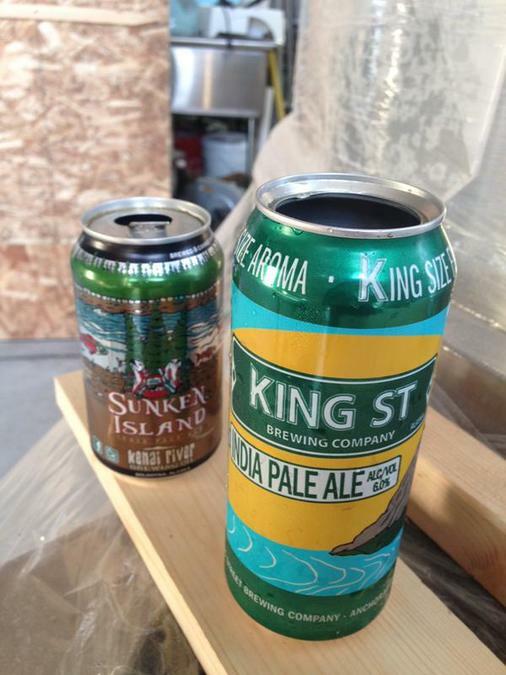 Like Kenai River’s Sunken Island IPA, or King Street’s IPA. 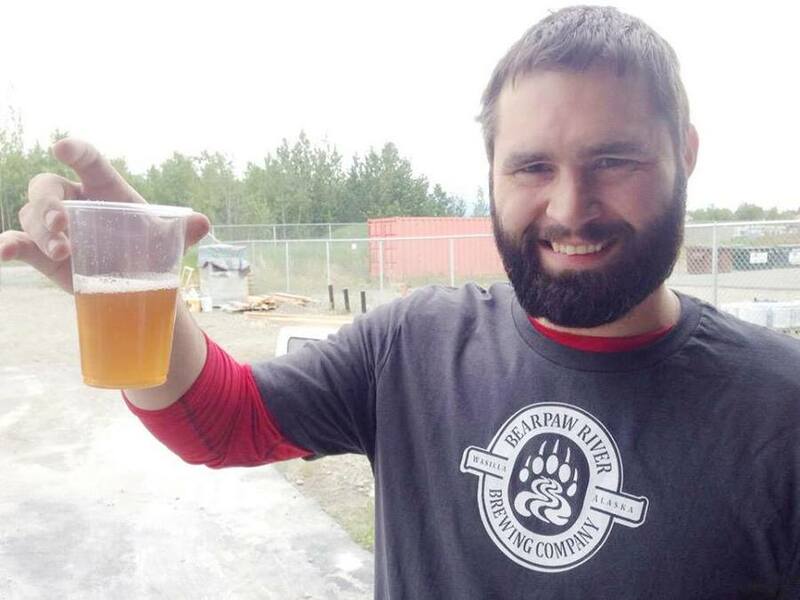 This is a great time to be making craft beer in Alaska!